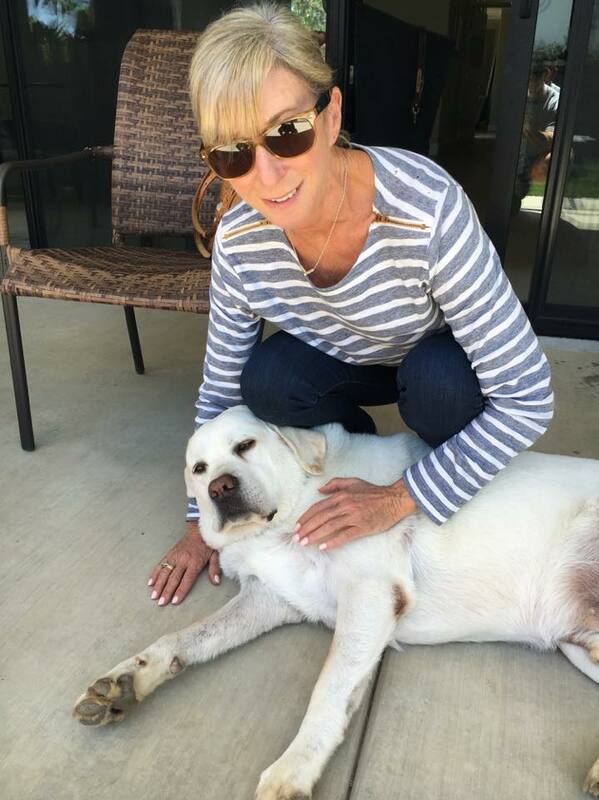 Carla Gaines and dog "Louie"
A trio of horses from the barn of Carla Gaines were scratched from their respective races by the Santa Anita stewards on Friday, according to the trainer, because each had been administered a medication called Gastroguard that morning. No medications other than furosemide are allowed on race day. According to Gaines' Twitter account, the ulcer treatment/preventative was administered by accident when a busy morning of breezing horses had her barn foreman distracted. This entry was posted in NL List, The Biz and tagged carla gaines, furosemide, gastroguard, race-day medication, santa anita, santa anita park, scratched, twitter, ulcer treatment by Paulick Report Staff. Bookmark the permalink.